The difference that online copy can make to online conversion rates is not always well understood. However, changing the words on your website is often one of the easiest changes you can make – no technies or code changes required. In this post, I interview Mel Henson, Founder of Words that Sell, which provides copy for e-commerce websites. Mel’s company works with companies like Aspace, Cotton Traders, David Nieper, Donald Russell, House of Bath, Lyco, Muddy Puddles, SHOP.COM, Race-World.com and Turtle Mats. Hi Mel, Can you tell me a bit about you and Words that Sell? Like AWA we’re specialists in home shopping. When a retailer needs a large volume of high quality copy for products on the website – typically 150 or more – we take all the stress away. Our team of trained writers, editors and project managers means that we’re geared up to make everything go smoothly and deliver the content on brief, on budget and on time. As for me, I have been lucky enough to work both agency and client-side, but for the last 12 years I have been a professional copywriter to multi-channel retailers. This year my book, Flicks and Clicks – How to Create Websites and Catalogues that Sell More. What it’s the difference between great copy and great online copy? Good copy depends on two things – understanding the customer and knowing your product. Copy is the bit in between that tells the customer about the product in the most compelling way possible. It’s often called ‘salesmanship in print’. Online copy has to do that job just as much as traditional offline copy. 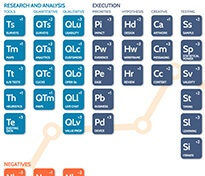 The two main differences are the format and keywords. Format comes out of the web design and its content management system. The art of using keywords in copy is to sprinkle in just enough to make the search engine spiders notice you but not too many that it becomes dull to read. You can’t bore your customers into buying! What sort of difference can good online copy make to an e-commerce website? They say that retail is detail, and often the difference between success and failure is down to a small increase in the margins. Websites work like a funnel, pushing their visitors towards the sale. Copy is at the thin end of the funnel – the very point where a customer is teetering on the brink, making up their mind whether to buy or not. If the copy can ‘speak’ to the customer, and persuade just one in a hundred to buy who might otherwise not, that’s a 1% increase in sales. 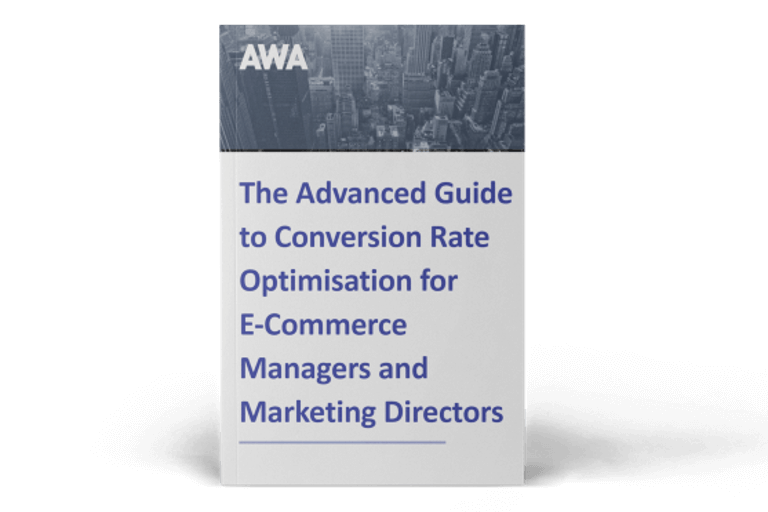 If your average conversion rate is 2%, then copy has just helped you increase your revenue by 50%. Why do you think companies often underestimate the job of writing copy? Mark Twain said ‘If it reads easy, it was writ hard’. In other words, the more effort and skill that’s gone into the writing, the easier it looks to write. (It’s no coincidence that the highest paid journalists work for The Sun). I always love working for clients who have tried to write their own copy, because they have a much better appreciation of how difficult it is to get the message right – and just how long it takes. Are great copywriters born or made? Like any skill, copywriting is something that can be taught, although some people will always be better than others. For any copywriter, some life experience helps a lot because it helps them understand human nature and often the best writers have had a job in sales in the past. It’s also true that practice makes perfect. I trained my first writers for Words that Sell over three years ago, and it’s been great to see them improve over that time. Different writers often have strengths in different areas. I have some ex-journalists on the team who are great at writing newsletters, brand overviews, category overviews and buyers guides. There are others who are really good when it comes to more technical products. What businesses do you admire for their copywriting? I’m always impressed by Betterware. They sell products that solve problems people didn’t know they had, and it’s full of active headlines that get straight to the benefit, like Keep jewellery jumble free Achieve smooth feet, Speedy cooking without the cleaning. Their website doesn’t look pretty but it certainly sells. I’m a fan of copy where there is real passion and a distinctive tone of voice that fits with their brand values, like Lakeland, Hotel Chocolat, Boden, Joules, Fur, Fin & Feather and Wiggly Wigglers. What are your plans for Words that Sell? At heart I believe that better copy is good for business and good for people, and I’m expanding the team so that we can do more. I’m also looking at new software to make it easier for clients to upload copy to their website,and tightening up our project management systems to make sure every project runs like clockwork. 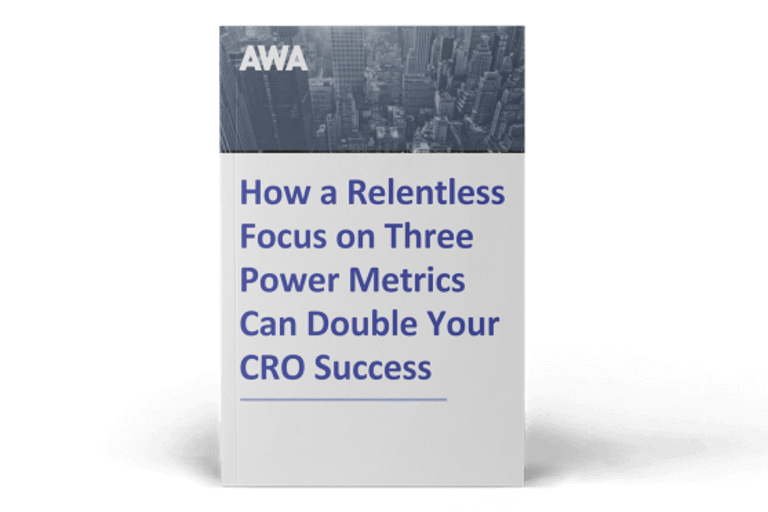 So now you've learnt how copy can increase your online sales, you'll also want to read our ebook below to find out how a focus on three power metrics can double your CRO success.